I've written before about the strong link between pesticides and herbicides and Parkinson's disease. However, while researchers were uncovering more and more connections between these chemicals and the disease, they weren't entirely sure what the mechanism causing the problem was. Now, research is shedding light on just why these products are so bad for your brain. Fortunately, it backs up the information I've been giving you all along about how to protect yourself. 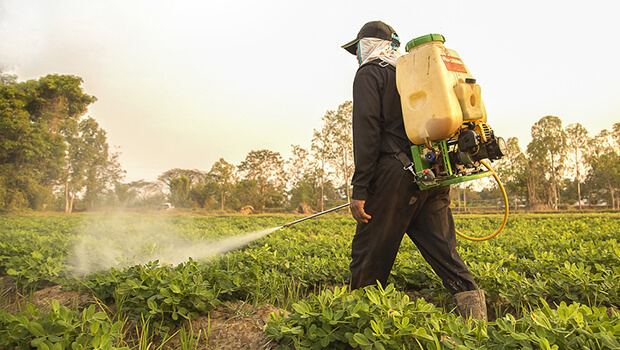 Researchers at Northwestern University focused on the connection between Parkinson's and paraquat, a common herbicide. Although paraquat is banned in the EU and restricted in the U.S., it's still possible to be exposed to authorized use (or to encounter it while you're traveling - it's heavily used in Asia and throughout the developing world). The researchers conducted a study, published in Nature Chemical Biology, in which they used a gene-editing tool to determine how the herbicide creates the oxidative stress that leads to cell death. A major contributor to Parkinson's disease is the death of dopamine neurons in a particular region of the brain. It turns out, those particular neurons are highly sensitive to oxidative stress. The researchers were able to use their gene-editing tool to create thousands of cells, each with a different individual gene turned off, to see how paraquat might harm these neurons. They found three particular genes that, when turned off, allowed the cells to better resist the paraquat attack. These genes seemed to make the cells particularly vulnerable, which could help researchers in the future as they seek to identify people who may be at higher risk of Parkinson's. People with higher levels of these genes are likely to be more sensitive to paraquat's effects and should take extra precautions to avoid it. Overall, this study highlighted the impact of oxidative stress on cells. And the researchers' gene-editing tool will likely be able to help them continue to further pinpoint the genes that are most vulnerable to such stress. However, while this could be useful information for understanding disease risk, it doesn't do you a lot of good when it comes to actually preventing disease. After all, you can't just swap out your genes. 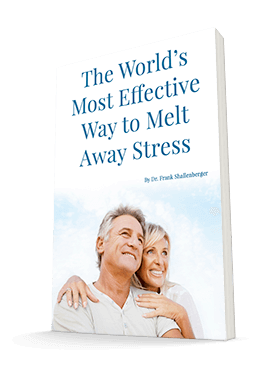 What you can do, however, is give your body the tools it needs to combat oxidative stress. Of course, that starts with avoiding toxic products like paraquat that create this stress in the first place. But since it's not possible to avoid toxins in the environment and other oxidative stress-producers altogether, you need to fight back with, you guessed it, antioxidants. You probably already know that there are a multitude of great sources of antioxidants out there, from the healthy whole foods we eat to powerful supplements. But the most powerful antioxidant in the brain is without a doubt melatonin. That might surprise you, as most people think of melatonin as a hormone (which it is). But it's also a very powerful antioxidant. In fact, it's the body's most efficient free-radical scavenger. And it has an impressive ability to control oxidative damage. Studies in animals given high doses of melatonin show that it prevents Parkinson's 100% of the time! I have reported on this in the past. This antioxidant ability is part of the reason why it's so effective. I personally take two capsules of Melatonin Max, a total of 120 mg, every night before bed just to protect me from any neurological or brain disorder. And numerous studies have shown that there's absolutely no toxicity to any dose of melatonin no matter how high the dose is. You can get Melatonin Max at www.perfectvitaminproducts.com.